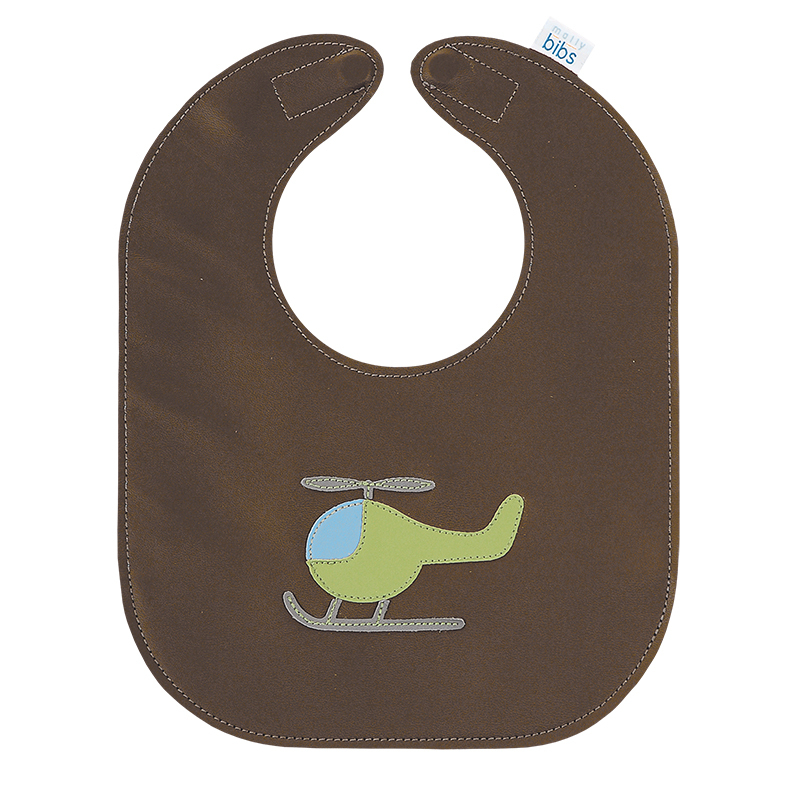 This helicopter bib has been a fan favourite for years, but sadly the time has come to discontinue this design. It's available while supplies last. Get it before it's gone! 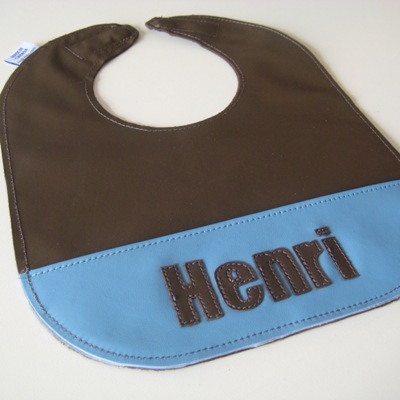 Add a name to the pocket to make it extra special. 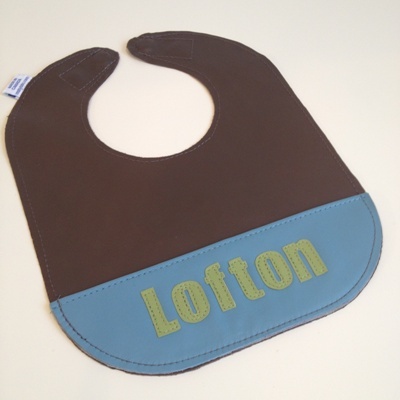 UPPER or lower case as you would like it on the bib. Accents okay, maximum 10 characters. 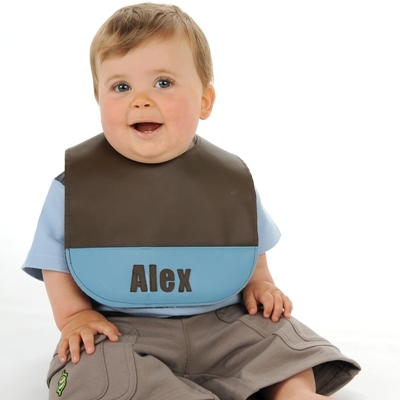 I look fabulous in anything I eat these days thanks to my Mally bib!! My Mommy and Daddy love it too! Especially when I get into a sweet and sticky mess like this :) They just rinse my bib clean and hang it on the fridge to dry...too bad I'm not as easy to clean! 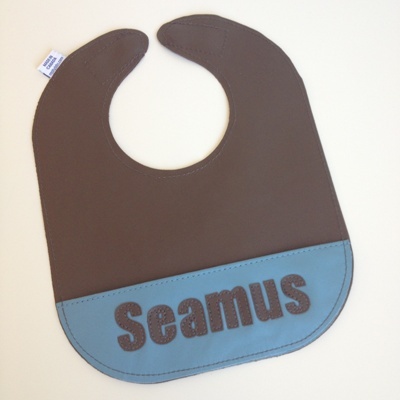 From carrots to spaghetti sauce, it all washes off - guaranteed!